The 2019 Nashville Market is upon us! This year I will be releasing a show exclusive. 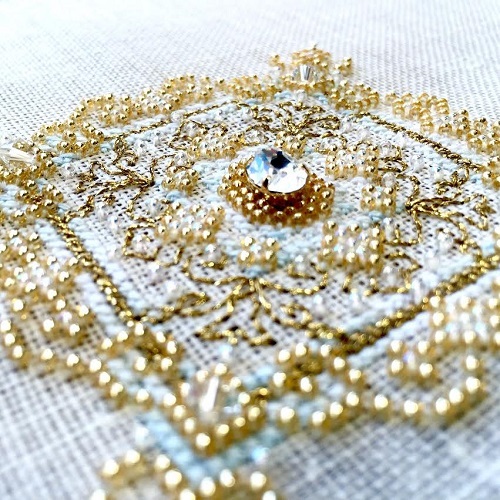 The pattern is Tea Party and like all of my other cross stitch patterns, it is full of Kreinik and beading detail. Here is a glimpse of the model being stitched, just over a quarter of the way done. 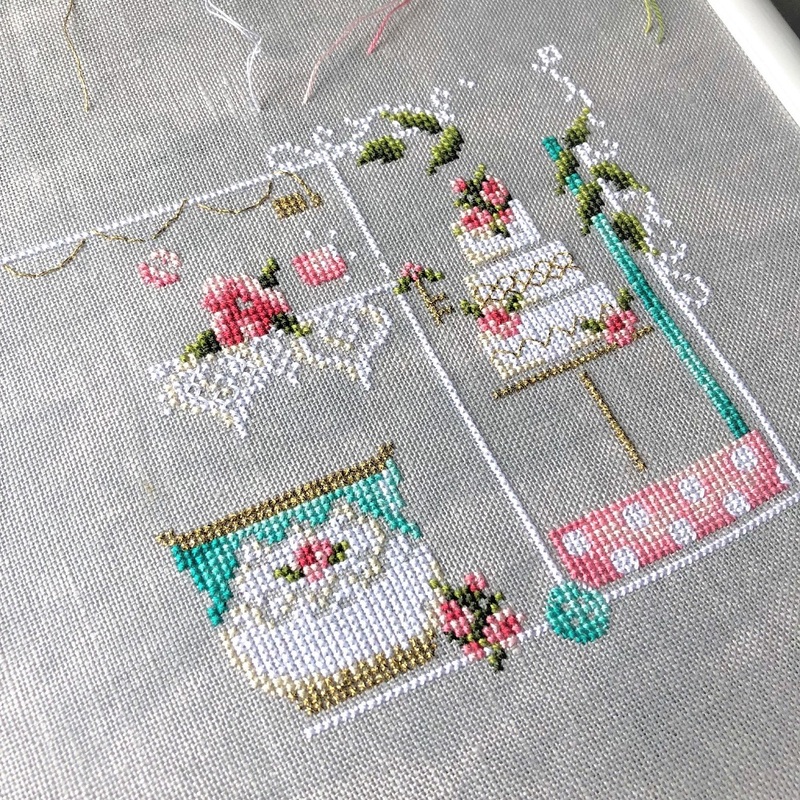 If you are a cross stitcher and you want this design, let your local needlework store know you’re interested in this design! It will be available through Dinky Dyes at the show this year.